Home » News » FISH’O’MANIA launches with a bang! Tickets for the UK’s first and finest commercial competition went live last week to a surge of demand, which has seen many anglers purchase their full, first round quota of two tickets. This has left some of the smaller qualifiers with a healthy following and could leave certain qualifiers near full attendance by round two, which opens on the 13th November. On the 13th November the restriction on ticket sales is lifted and seasoned anglers can purchase as many tickets as they wish, some travelling hundreds of miles to chase down the infamous title and the £50,000. To guarantee a place at your preferred qualifier and date, we’re urging anglers to book on promptly to avoid disappointment. 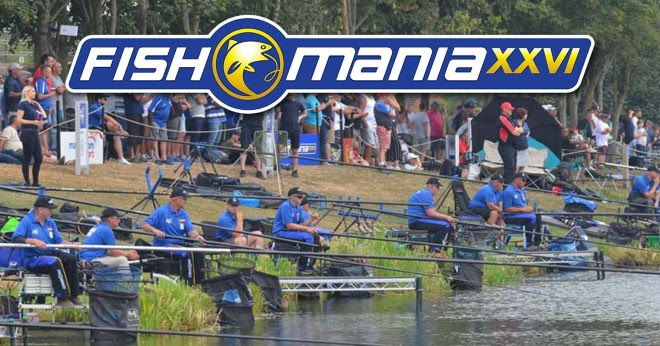 Tickets for the Fish 'O’ Mania XXVI qualifiers will again be sold via the Angling Trust Events booking website HERE. Due to the high demand the Angling Trust has introduced a process that ensures all anglers who want to fish in the competition can book at least one ticket per qualifier. Round One: Friday 26th October – 12:00 noon. until Tuesday 6th November 23:59. Anglers will be able to book a maximum of two tickets during this round. Round Two: Tuesday 13th November 12:00 noon. There will be no restriction of the number of tickets anglers will be able to book. The Angling Trust has a ‘How to Book Fish’O’Mania Tickets’ guide and a short video available HERE. The step by step video provides a detailed guide to navigate members through the booking process. For any enquiries regarding the online system please call us on 0115 822 4519/ 0115 822 4532.